1. Acetaminophen is also known as Tylenol(brand name) and sometimes by its abbreviated name APAP. It is probably the most common fever and pain reducer on the market today. 2. Acetaminophen is an ingredient in many single and multi-ingredient products. Before taking any prescription or non prescription product it is a good idea to know if and how much acetaminophen is in that product. 3.It is recommended that no more than 4 grams of acetaminophen be ingested in a 24 hour period. The ceiling effect of acetaminophen is 3 grams-- meaning that anything over 3 grams does not really contribute to its analgesic effect. Make sure to include all the acetaminophen being ingested from all the products you are taking so you don't go over the 4 gram limit. 4. Tylenol overdose can cause liver damage, and even death if the limits are exceed. 5. Tylenol is useful for pain relief and also fever reduction. The mechanism of action is unclear. 6. Acetaminophen has no anti-inflammatory properties, so it will not reduce swelling . 7. Combination(multi-ingredient) products for adult use contain either 325 mg or 500 mg of acetaminophen. The FDA recently set the maximum allowable dosage at 325 mg for these types of products; some 500 mg products are still available as of this writing. 8. Tylenol dosing for infants is based on their age and weight. Consult your pediatrician or pharmacist before administering acetaminophen to pediatric patients if you are uncertain of the dosage. 9. Tylenol is available for oral and rectal use. It can be given intravenously in the health care setting. 10. 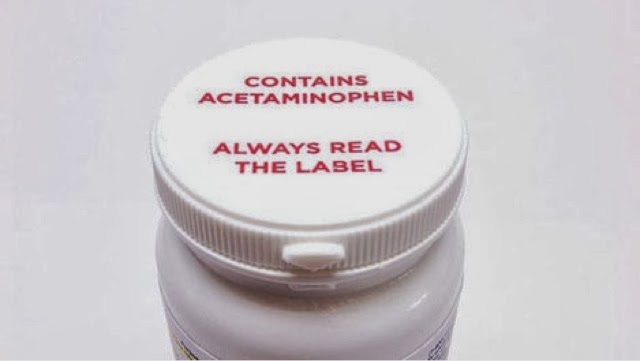 Some common prescription and non prescription products that contain acetaminophen are: Tylenol, Excedrin, Tylenol Cold and Flu, Percocet, Vicodin, Ultracet, and Tylenol with Codeine.